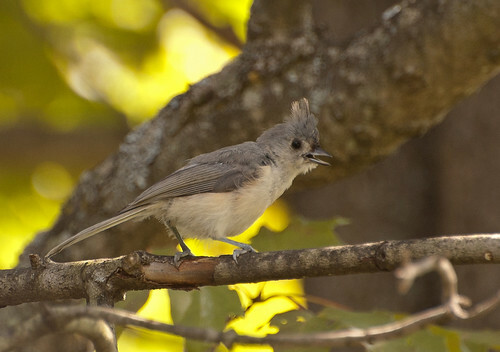 The tufted titmouse is a somewhat infrequent visitor to our backyard feeder. So when this one stopped by this past fall I was happy to snap a few pictures. These birds nest in pre-existing tree cavities, having to find ones made by other birds or natural ones as they are not able to create their own. Though I have never seen this, studies have shown that they often line their nests with hair. And it seems as though most any type will do as hair from livestock, raccoons and woodchucks, to mice and even humans has been found in their nests. This entry was posted on 5 January 2012 by patacoate. It was filed under iPhone . 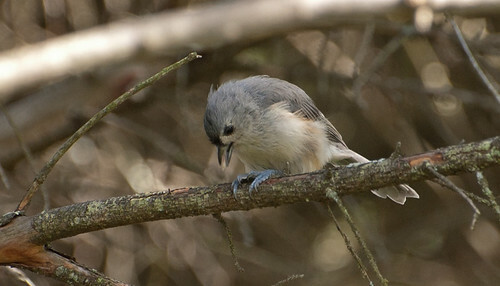 Titmouse is my﻿ favorite bird ever. I never see them at my house, but they come to lots of other people’s feeders. That tuft turns an ordinary little gray bird into an extraordinary style setter. 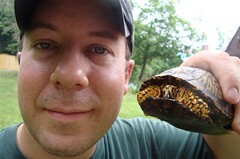 He’s one of my favorites, faithful and humble. 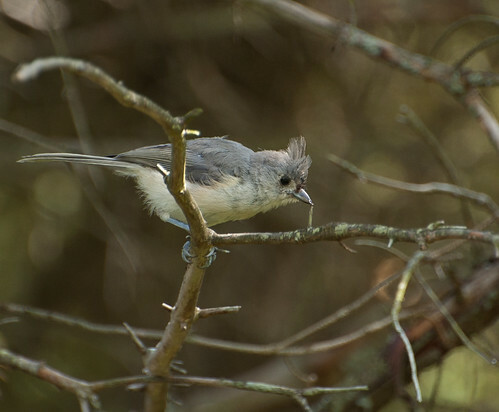 Lovely shot of the Titmouse. The colors and lighting are wonderful. Have a great weekend!